BT-211 Yadrin is a Project 12650 harbor minesweeper. The ship was commissioned in 1991. 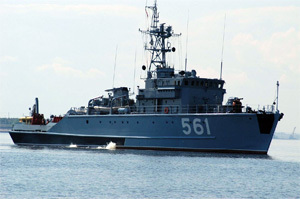 Being initially named Vyatchik, the minesweeper was renamed into Yadrin on 30 August 1991.